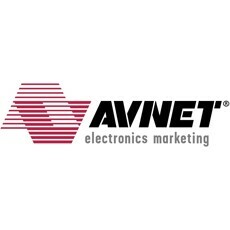 Avnet Embedded, a division of Avnet Electronics Marketing Americas, a business region of Avnet, Inc., today announced the launch of its new Rorke Global Solutions business unit, headed by Chuck Kostalnick, senior vice president of Avnet Embedded. The new unit will deliver comprehensive solutions that meld hardware, software and services in support of the unique business requirements of original equipment manufacturers (OEMs), independent software vendors (ISVs), and channel partners. Rorke Global Solutions will craft solutions from a combination of catalog systems developed internally and off-the-shelf technologies from a wide range of innovative, world-class manufacturers. The services available from Rorke Global Solutions align with each stage of the customer’s product lifecycle from development to launch to sustained support and continue all the way through end of life and asset recovery. To assist customers in integrating storage, open compute platforms, information technology (IT) infrastructure, digital security and surveillance, and machine-to-machine (M2M) technologies, Rorke Global Solutions includes a newly formed solutions-focused sales and consulting group, to be led by Avnet veteran Scott MacDonald. MacDonald, who has served as an Avnet area vice president for eight years, will now serve as vice president of sales and market solutions for the new group and report to John Salemme, vice president of sales in the Americas for Avnet Embedded. The new group combines sales with design, integration and life cycle supply chain services in order to custom-tailor technology solutions for specialized requirements across a broad set of market segments and business needs. Solutions experts will also draw from the Rorke Global Solutions portfolio and other ecosystem partners for products and services when designing custom solutions. “Scott MacDonald’s experience meeting customer needs across a broad swath of vertical market segments, and his expertise across the breadth of the technologies and services we offer are ideally suited to execute this group’s objective of delivering the right solution for each customer, saving them time, increasing ROI, and offering better product differentiation,” continued Kostalnick. The services offering from Rorke Global Solutions addresses a variety of business needs throughout the product lifecycle including engineering, assembling, logistics, supply chain, premise, connectivity, financing, and asset recovery services. Rorke Global Solutions is also expanding the extensive catalog of computing technology building blocks formerly provided by Rorke Data in support of compute, storage, networking and purpose-built appliances. Rorke Global Solutions complements these products with services that cover extended warranties, installation, call center support, advanced replacement, repair, maintenance and a variety of financing models including leasing and rentals. For more information about Rorke Global Solutions, please go to www.rorke.com.